What Can I Do if I Failed My A Levels? On the 14th August, A Level exam results were officially released to students, finally ending the long wait. Many will have been thrilled and will be celebrating now, but some will find that their exam results are disappointing. Exam centres will release the results to students. To pick up your exam results, ensure that you have brought a valid ID to confirm your identity. Exam results will show your grade breakdown for each unit as well as your overall grade. Congratulations! You don’t need to take any immediate action in relation to your results. If you’ve been accepted, though, you may wish to contact the University to start booking accommodation or begin the induction process. If your exam results have been disappointing and you haven’t got enough UCAS points for your chosen university course, then the most important thing is not to panic or despair. There are a number of options open to you at this point. When you log into UCAS Track, you will see the status of your application. You will be able to see if your insurance choice has accepted you – if so, you can contact them to begin the induction process. If you haven’t been accepted by your first or second choices but want to go to university this year, then you can be matched up to a course with places still available through the UCAS Clearing Service. While you can find a course that suits your needs, it is worth considering if you really want to study the subject or if you just want to go to university this year. If it’s the latter reason, think hard about if it is in your best interests. You can see more information about clearing in our earlier blog post. If you feel your results are not accurate then you can challenge them. You need to raise the issue with the centre where you sat the exams. There WILL be a charge for remarking, which is usually refunded if your result is changed. Be aware that results may not change and can be revised to a lower mark as well as a higher one. If you’ve done well in the majority of your units, but have been let down by one or two, you may wish to consider retaking a few individual units to boost your overall grade. If you’ve struggled with A Levels and do not wish to resit or retake, then you might want to consider applying for a vocational alternative, such as a BTEC HND course, which does not have an exam component and may allow you to skip 1-2 years of a University degree course. If you’ve not done particularly well across your A Levels, then it may be worth putting considerable thought into resitting one or more courses entirely. 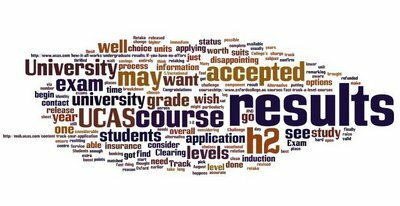 By starting with a clean sheet, you can make a fresh application to UCAS, which may be beneficial to students applying for competitive courses. With Oxford College’s fast track courses, you can complete an A Level course in just one year and because you can study at a time that suits you, it’s possible to study and work at the same time, which means you can go to university with extra savings.